Tom Rasmussen has been assisting TicketCo as their communication adviser since the very start in 2013. Starting from the 1st of February this year, the experienced public relations consultant is TicketCo’s new Chief Communication Officer. “This was both an easy and a very hard decision to make,” says the new CCO. He admits that saying yes to TicketCo was the easy part of the resolution. “The hard part was the decision to scale down my engagement as a consultant. I’m a partner in the Norwegian PR-agency HBSPR, assisting great clients within a wide scope of public relations affairs. I was not keen on leaving this business behind me, and we have spent some time defining how to keep this business going parallell to the deep and time consuming engagement I will have at TicketCo as their new CCO. Now this is settled, and I’m ready to jump on the fast rolling TicketCo train with my full commitment,” says Mr Rasmussen. In addition to the CCO recruitment, TicketCo is on the verge to recruit a Digital Marketing Manager, who like Mr Rasmussen will serve the TicketCo sales organisations in both Norway, Sweden, Poland and the UK from the TicketCo HQ in Bergen, Norway. The company is also recruiting a Global Account Manager, who will be stationed at the London office in Curtain Road, Shoreditch. “It’s amazing to witness the quality of the applicants, and we’ll have a really strong team when all the pieces are in place,” says Mr Rasmussen. 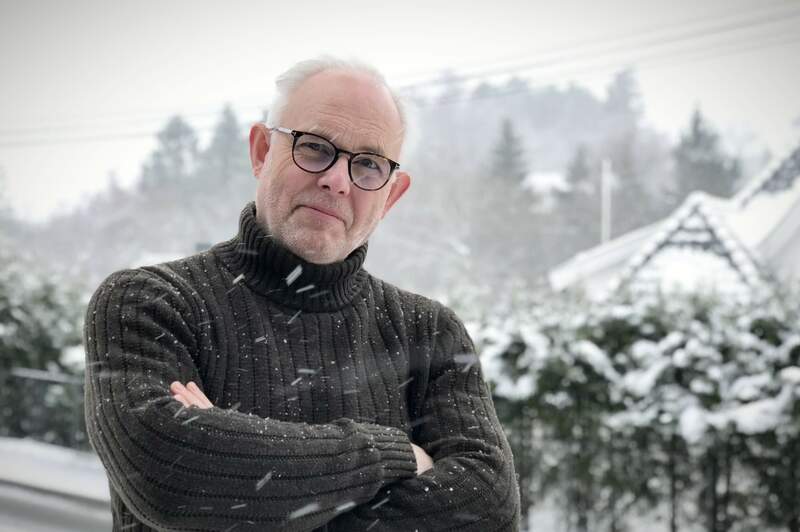 Before switching to the public relations business for almost ten years back, Tom Rasmussen had a broad background from the Norwegian arts- and entertainment industry. He started out as a drummer in a punk band in the early eighties, and this led to a career as both an artist manager, concert promoter and theatre producer before he accepted the offer as head of programme for Norway’s official 100 years anniversary in 2005. After this engagement he spent some years as a publisher and editor before deciding to put his accumulated skills on the market as a public relations advisor in 2010 – whereafter TicketCo entered his portfolio a few years later. Parallell to this rather mixed up career he has published four novels during the last ten years. “The way I see it, my most important contribution to TicketCo over the years has been the storytelling. That was my main focus at the start, and it will still be my main task. As individuals we are constantly making decisions – often based on feelings more than facts. At TicketCo we strive to connect feeling to our facts – regardless of whether it’s value propositions, product or feature descriptions, white papers or case studies – and I think we have succeeded in creating engaging stories with relevance to our target groups,” says Mr Rasmussen. “But more important is the fact that these stories are more than just stories. They’re true stories. TicketCo is built on a genuine devotion to ease every aspect of event payments, and with my background from the event industry I can see TicketCo’s impact better than an average storyteller. I know the game,” he adds. During the five years the new CCO has assisted Ticketco as their consultant, he has seen the company grow from a start-up to an operation with ongoing businesses in four countries – and with further expansion plans. “It was natural for TicketCo at this stage to bring my competence and know how in-house, and I’m certain that there’ll be lots of communication tasks to fulfill in the times to come. We have a huge assignment ahead of us when it comes to investor relations, which really needs to be improved. Also, both Sweden and Poland will need dedicated public relations resources like the ones Fortitude Communications is providing in the UK,” he states. At the same time the core communication regarding TicketCo will be an essential task. “The communication concerning TicketCo can never be good enough. This is partly due to constant feature expansions, which needs to be explained for both existing and new clients, but also due to the upheaval changes within the communication field itself,” says the new CCO. “The same way that TicketCo is rocking the event industry with cutting edge technology, there’s somewhat of a tech revolution going on in my field. Today messages can be narrowed down to pinpoint extremely defined target groups, and we can reach these individuals on somewhat close to a 1:1 scale through digital channels. Still, and to my great relief, content is the core of all communication. The digital heads and the AI is not set to take over the world quite yet. Nothing beats a great story,” he adds. Mr Rasmussen consider TicketCo as highly consistent when it comes to the link between the product and its narrative, and will simply continue to build on the storytelling which is already established. “TicketCo’s business idea is Event payments made easy, and the company vision is to create the new global standard for event payments. These are clear and strong messages, and the foundation for the whole TicketCo enterprise including both the product development and my future responsibilities within communication. But the messaging is still quite of a task to fulfill, and this will now be my responsibility,” he concludes.